Do you feel confused when you consider the hundreds of skin care products out there? I get it. It can be overwhelming, costly and some products just aren’t that great. I’m always up for trying something new, and I also love natural products like Organic Rosehip Seed Oil for my skin, as well as Kiehl’s products and my fave and way too expensive Crème de La Mer. In comes Instytutum that I only discovered by chance since I tried their dreamy face mask, the Age-Defying Perfecting Facial Sheet Mask that makes me feel like I’m at a spa, except for that I’m never laying down in a calm, dimly lit room with soothing spa music playing. It's more like; I’m working at my computer with sheet mask on my face and glasses on so I can see. But after the 20 to 30 min., when I peel it off, my face feels so hydrated, the elasticity and tone are visibly better, and a more youthful me can last up to seven days. 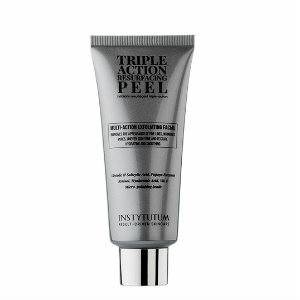 Instytutum is a Swiss-based line that’s all about result-driven products to create flawless skin. In an effort to always stay on top of science and innovation in skin care, they just updated and released eight new products: a Transforming Melting Cleanser, Triple Action Resurfacing Peel, Resurfacing Glow Toner, Xceptional Flawless Cream, C-Illuminating 3 D Moisturizer, Anti-Wrinkle Brightening C-Erum, Truly Transforming Brightening Eye Cream, and Powerful Retin Oil. You’ll have to wait until October to find their Retin-Oil. This line is all about anti-aging and boasts cosmeceutical ingredients for all skin concerns. They offer targeted solutions to give instant results and long-lasting benefits. Right now, most of their products are reduced 25%, and that's a great deal. My three fave products from the new collection include the Anti-Wrinkle Brightening C-erum that’s packed with 15% Vitamin C (THD), infused with multiple powerful ingredients. It’s designed to brighten your complexion, improve dark spots and discoloration and reduce fine lines and wrinkles. I’m using it twice a day on my face, décolleté and I love it. 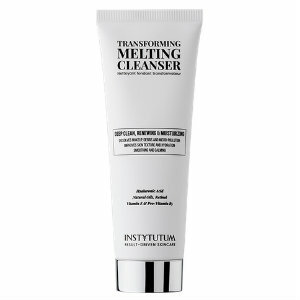 The other standout product that I can’t get enough of is the Transforming Melting Cleanser. As soon as it's mixed with water, it changes from a balm to oil into a silky emulsion. My skin is naturally desert dry, yet this cleanser never dries out my skin as most do, it’s hydrating, soothing and calm.